A show of hands here–who brings cookbooks home from their travels? Even with the rise of the electronic recipe (my 11-year-old daughter Googles recipes, despite her mother’s large cookbook collection), paper cookbooks remain popular vacay take-homes. They give travelers return trips, even if just in mind and taste buds. 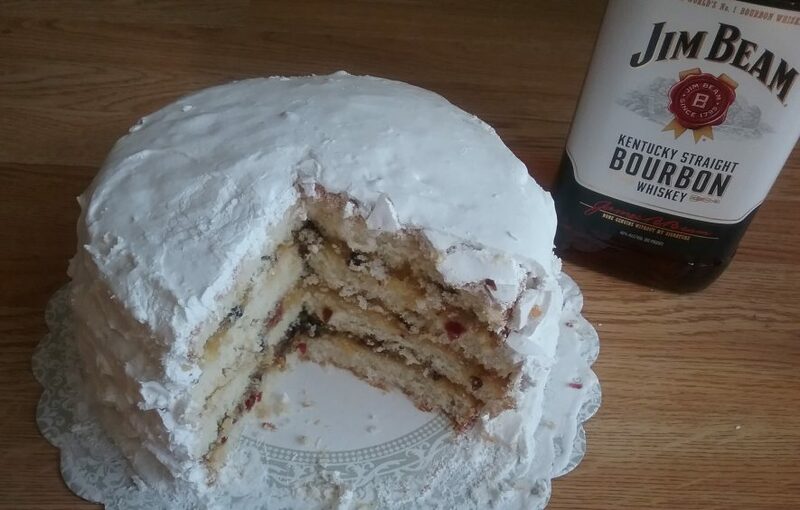 Opening Makers Mark® The Special Touch cookbook, a Kentucky purchase, I smell the bourbon of distillery tours. When the pages of Savoring San Diego are flipped, I see the ubiquitous flowers of that fair city. The Montana Cookbook brings back a sense of open land and Simply Colorado invites visions of rocky mountains. While relatively close to home, the city of Duluth was another vacation spot worth remembering. (Culinary details from last summer’s camping trip recorded here.) An especially impressive restaurant stop was The Duluth Grill, and their cookbook told the tale of evolution from Ember’s franchise to one-of-a-kind comfort-food haven. The parking lot garden speaks volumes to their emphasis on fresh, locally sourced, and sustainably raised ingredients. The book’s $30 price tag gave me pause and I left without, knowing I’d find it online for far less. Except I didn’t. 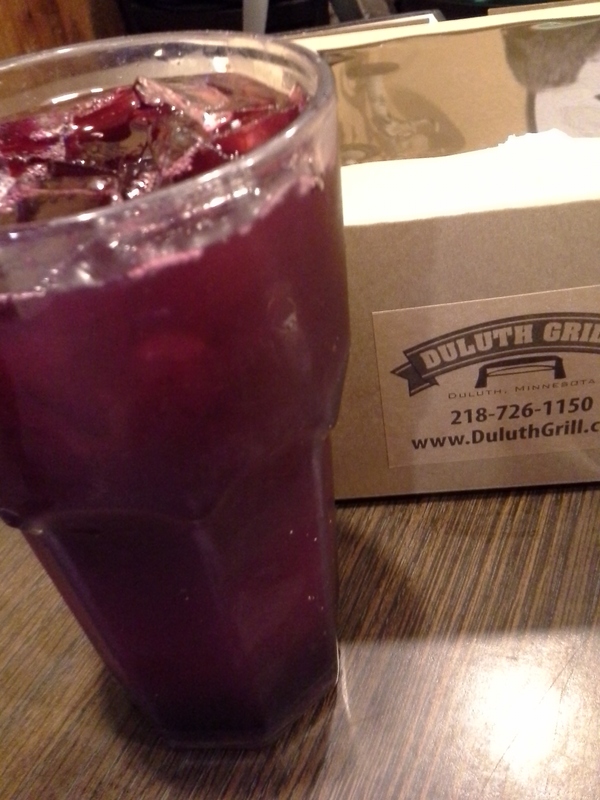 The Duluth Grill Cookbook was available only on the restaurant website. I kicked myself (and certainly deserved a kick for not supporting small business when I had the chance), but found redemption in a friend who was making a quick trip that way. 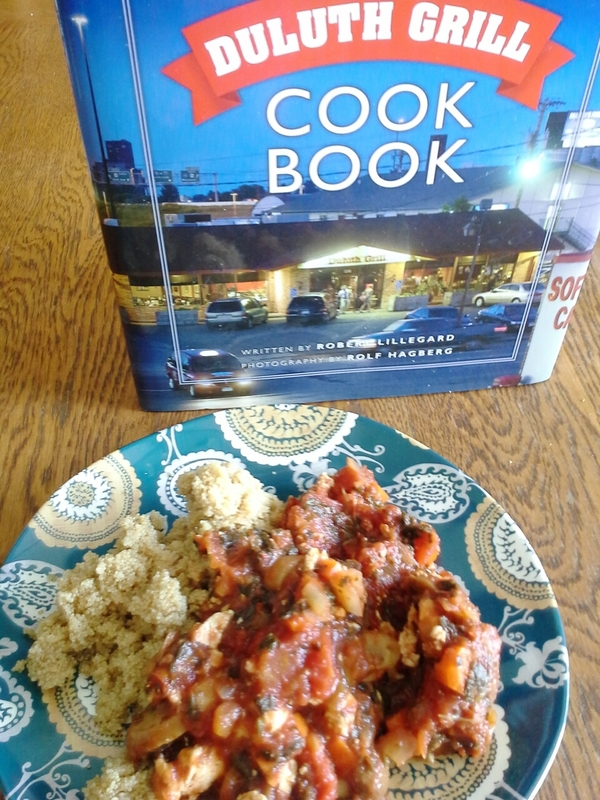 She, too, is a big fan of this much-loved restaurant and agreed to bring the cookbook back for me. Just last week, then, I finally held a copy of this beautiful and lovely book in my hands. 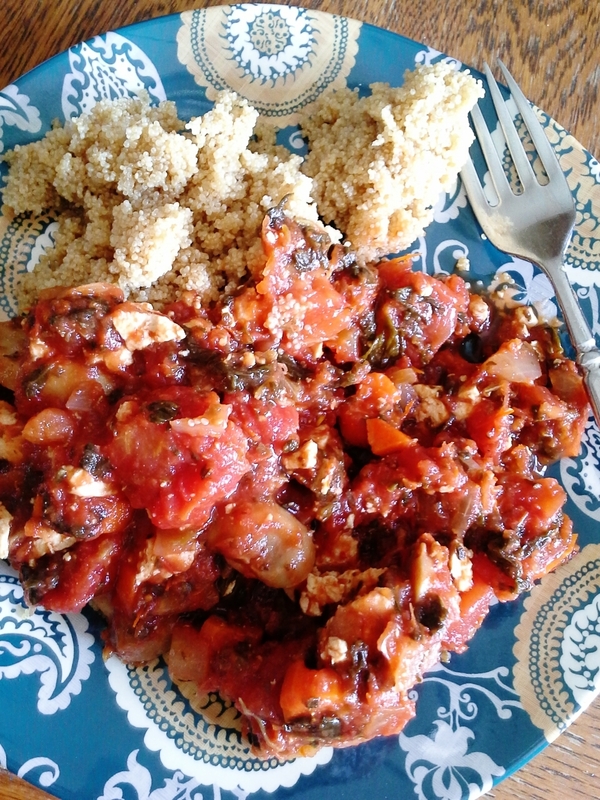 To prove its worth, I immediately set out to make Tofu and Walnut Marinara (taking a pass on the walnuts). It was hearty, flavorful, and packed with good-for-you veggies. Two days later it tasted even better and I know I’ll be making this sauce again. I have my eye on the Ratatouille recipe as well as the Buffalo Tofu Strips, both dishes I enjoyed while there. I’d also love to make their Beet Lemonade, though will have to riff on their standard Lemonade recipe as they do not share the beet version I was so enamored with during my visit. 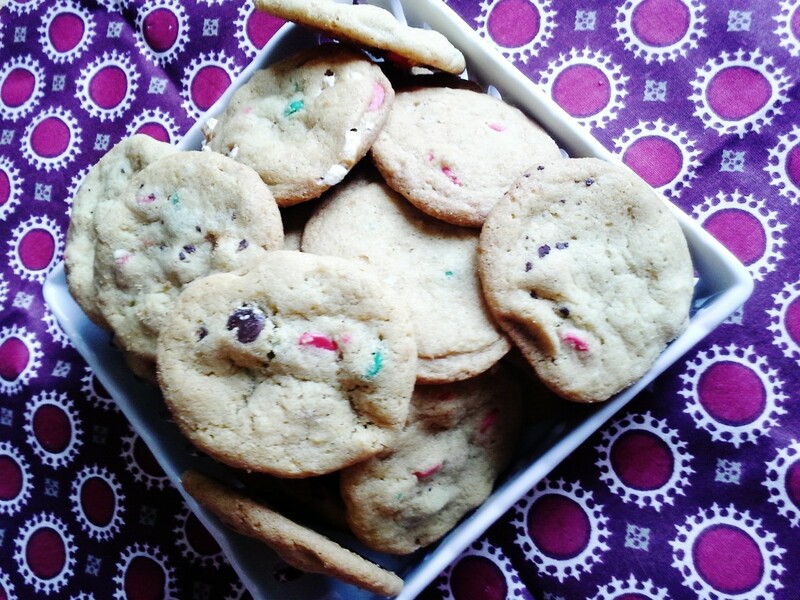 Minnesota’s bitter cold winter called for a baking recipe, so I also made TDG’sr Chocolate Chip Cookies. In the same manner as an earlier cookie adventure, I experimented with each baking sheet, sprinkling some unbaked cookies with chocolate salt, some with vanilla salt and also mixing in marshmallow bits and even leftover movie popcorn that was sitting on the counter just asking to be poured into the remaining batter. 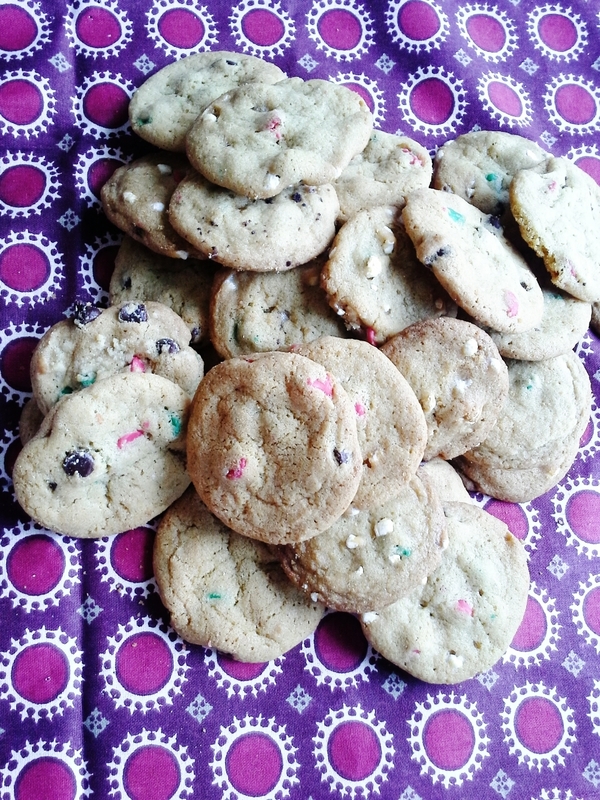 Even without my improv, these cookies were amazing and hit all the right sweet, salty, tender, crisp notes. So here’s to cookbooks and here’s to travel and here’s to those cookbook gems we find when we travel. If you’re looking for the recipe for either the sauce or cookies, let me know in comments or at deLizious facebook and I’ll pass them on your way. 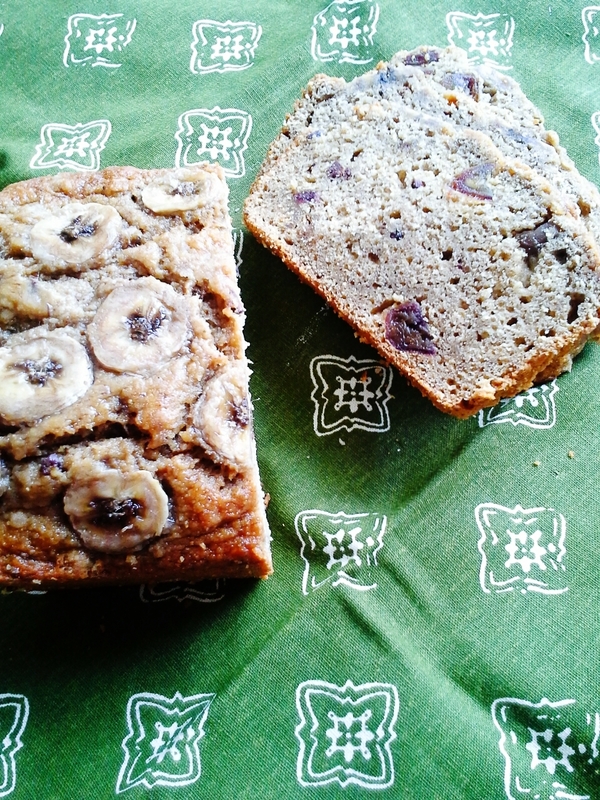 there’s rye whiskey in my banana bread! 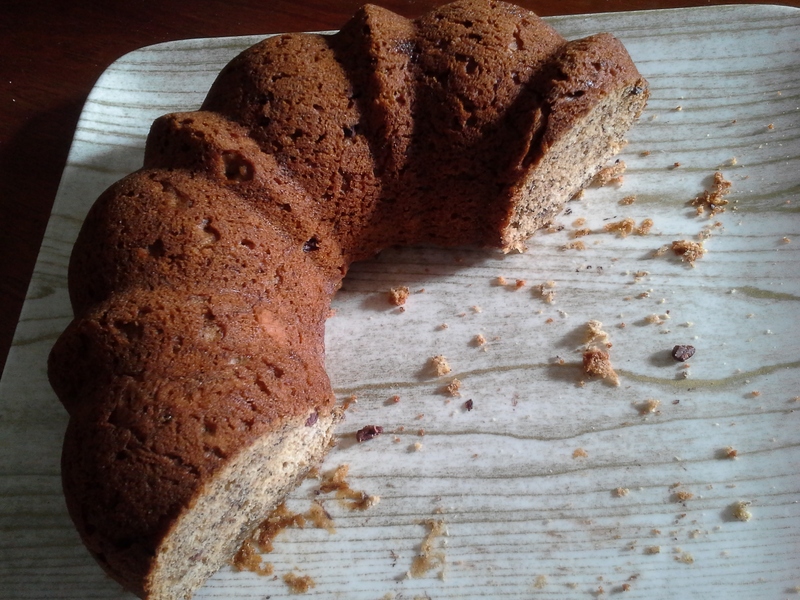 and Shanna over at Curls and Carrots kept my spirits up with Rum-a-Dum-Dum Banana Bread. Thanks, ladies, for two fabulous loaves!